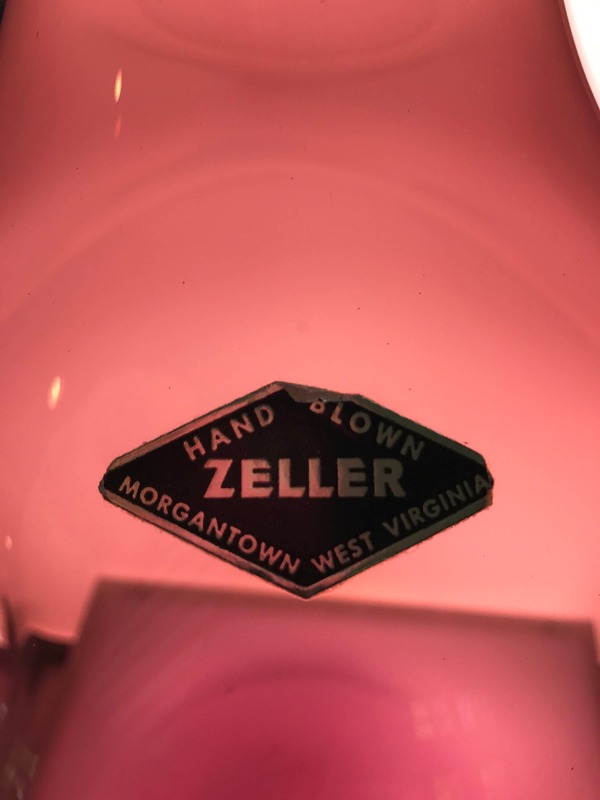 This is an AWESOME, huge and highly coveted piece of mid-century US blown glass by Zeller, another now-defunct Ohio River Valley handmade glass blower. 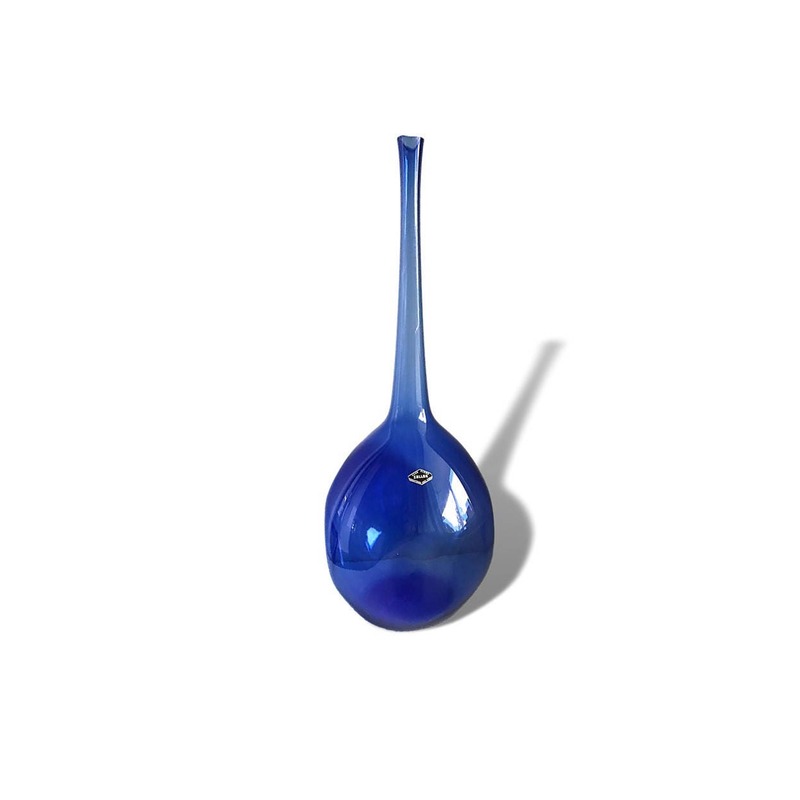 Blenko collectors seem to have a special affinity for Zeller's dramatic architectural/floor vases, possibly because Wayne Husted himself is purported to have designed them (I've read this several places but have no independent or authoritative sourcing here). This beauty stands a towering 31 inches tall, with its largest diameter at the base reaching almost 11 inches. 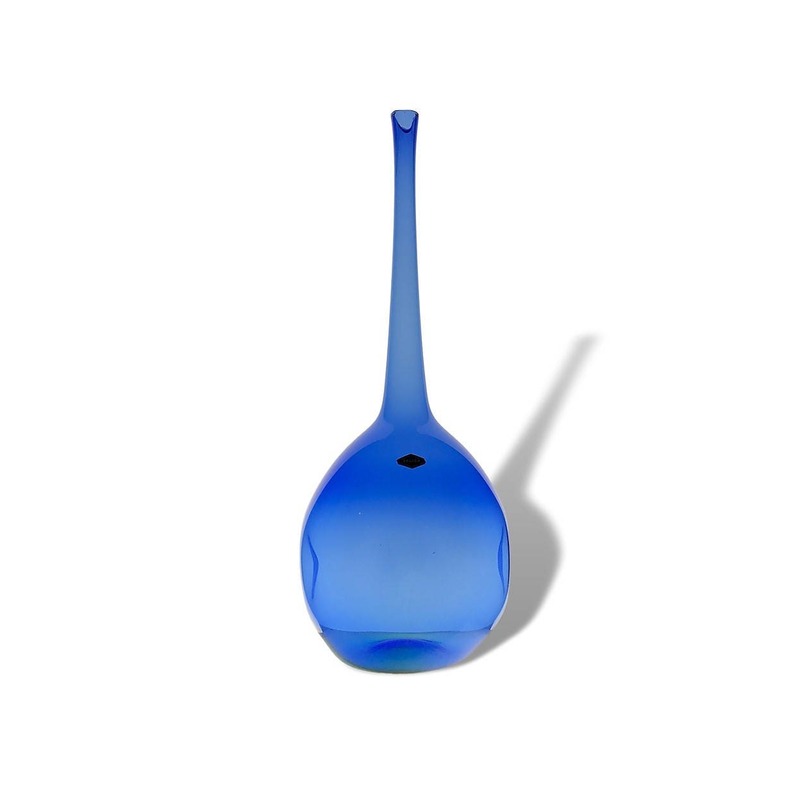 Backlighting this piece shows the incredible hue and clarity of this periwinkle blue vase--a beautiful and remarkable color. 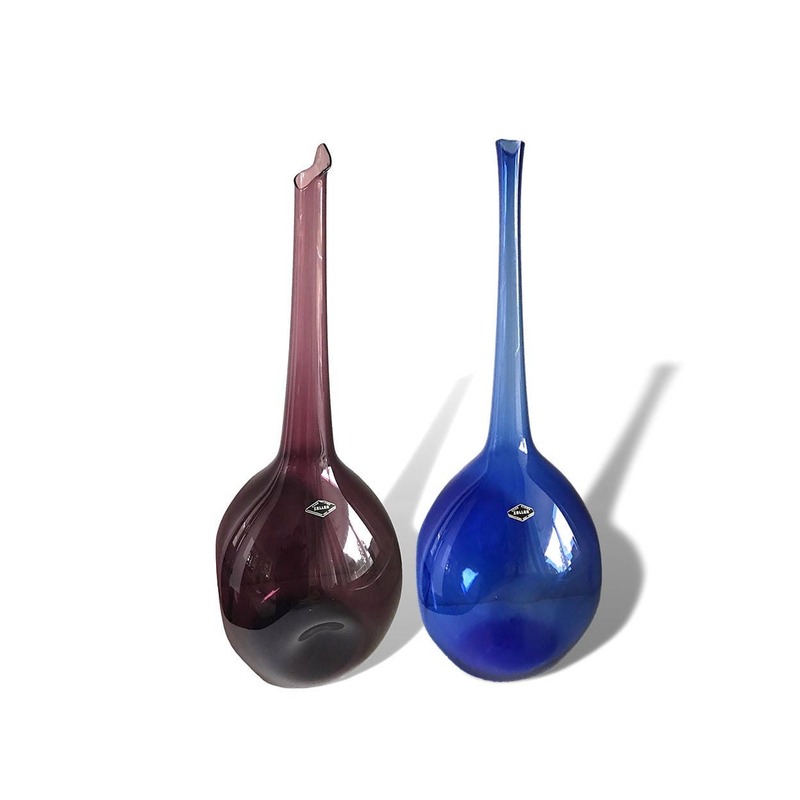 The label shown from the same vase in amethyst is identical to the one on this piece.